Corsair’s Vengeance M65 is a gaming-grade performance mouse for FPS gamers coming with an adjustable weight system, selectable 8200 DPI sensor for ultimate accuracy and even programmable macro buttons. Not only does Corsair’s M65 gaming mouse look great but it also has a huge array of features like the onboard memory so you can take your settings and software profiles with you no matter what computer you are using. In this Corsair Vengeance M65 Gaming Mouse Review, I am going to tell you about my thoughts and experiences over the past fourteen days with this amazing piece of gaming hardware. Selectable 8200 DPI Laser Sensor provides precise tracking for those intense FPS moments. Onboard memory which allows you to take your M65 settings and profiles on the go without having to reconfigure them on a new PC. Dedicated Sniper button instantly reduces the mouse’s DPI allowing for crucial long-range headshots. The Soft-touch Materials that feel luxorious. High-Mass Scroll Wheel provides precision when it matters most. 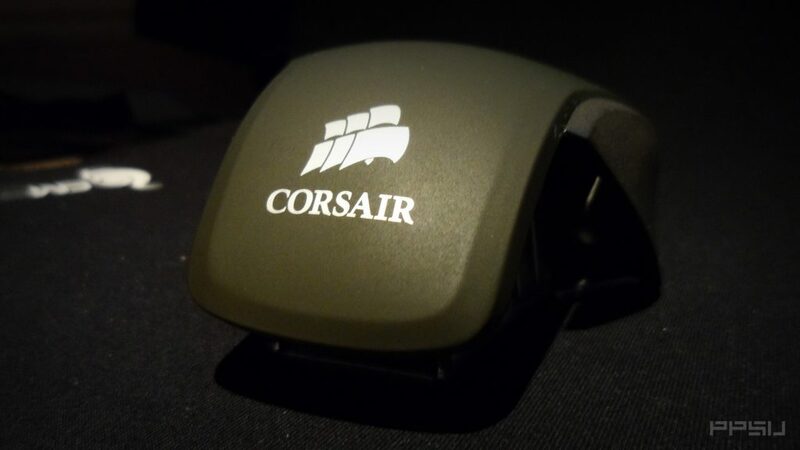 The Corsair M65 gaming mouse is available in 3 different colors; Military Green, Artic White and Gunmetal Black. It also comes with eight programmable buttons including a dedicated sniper button that falls perfectly under your thumb. Corsair has balanced design, quality and comfort perfectly with a rigid aluminium uni-body lined with the soft-touch plastic which feels luxurious in the hand. When you combine this with the ergonomic, comfortable feel, this is the perfect mouse for those long all-night gaming sessions. The part aluminium and rubber scroll wheel provides perfect resistance and feedback when you are selecting weapons allowing you never to make mistakes in the heat of an intense game. 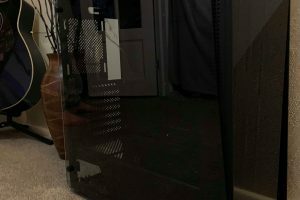 Overall, I am impressed with the effort put into the design and comfort by Corsair. 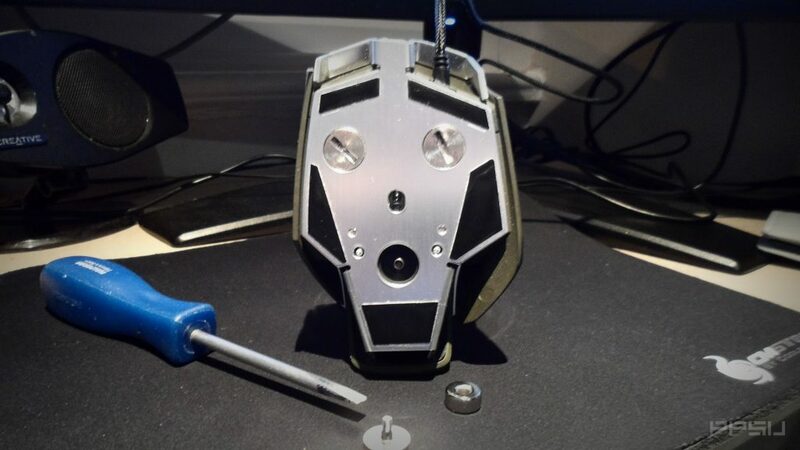 When I first saw the mouse in the box, I was dubious about build quality, but immediately after unboxing the Vengeance M65 Gaming Mouse and getting it in my hand, all those worries were put to rest immediately. 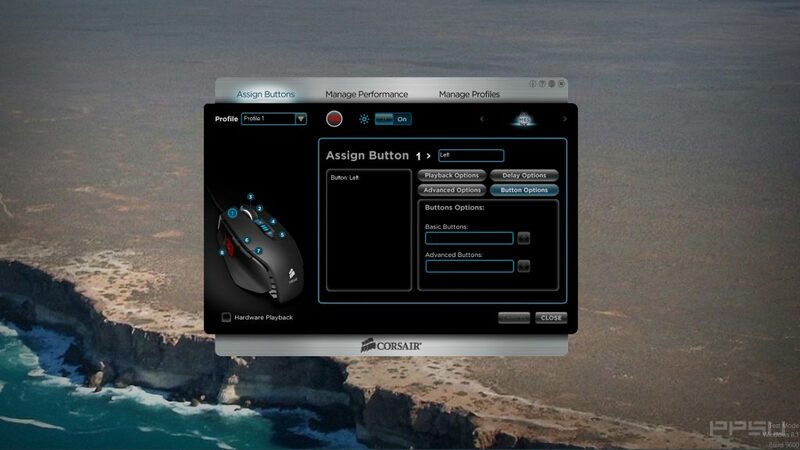 Corsair has tailored this mouse for FPS players, and it shows when you are in a game with incredible response times, accuracy and perfectly positioned programmable macro buttons. The built-in sniper button is a nice touch and is conveniently placed under your thumb. When pressed it reduces the sensor’s DPI on the fly allowing you to pull off those time sensitive critical headshots with ease. Over my two weeks with the mouse, I played a variety of games from Counter-Strike: Global Offensive, Team Fortress 2, Starcraft 2, Bioshock, Crysis and Call of Duty. The M65 performance gaming mouse performed well throughout providing smooth movements, accuracy and sensitivity even in non-FPS games. As with all laser mice, there was a little bit of hardware acceleration but if you are careful and take the time to set your mouse up and game settings first, it’s barely noticeable at all. On maximum sensitivity, the M65 gaming mouse is perfect for reflex shots allowing you to swing around with ease in a blink of an eye. Corsairs gaming-grade 8200 DPI laser sensor does a great job of tracking any surface as well. The built-in adjustable weight system is a great addition for those who are picky about weight distribution. There are three screws on the bottom that come with weights preinstalled allowing you to set-up your mouse just how you like it. Personally I love it light up the front-end of the mouse and heavy at the back giving me a pivot point for those extreme one hundred and eighty-degree headshots. The M65 gaming mouse allows me to do this is in no more than 60 seconds provided there is a screwdriver to hand. The guys at Corsair made the move not to bundle their software with the mouse, in which I imagine is to reduce their carbon footprint. However, they did provide download instructions on how to get it. The software for the M65 comes with a firmware update to version 2.26, various PDF files and also a management utility that allows you to program every button on the mouse. 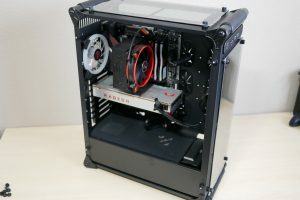 While their Corsairs software is the ultimate toolkit and will allow you to transform completely how you use your new mouse, it took a little trial and error to get everything setup how I wanted. 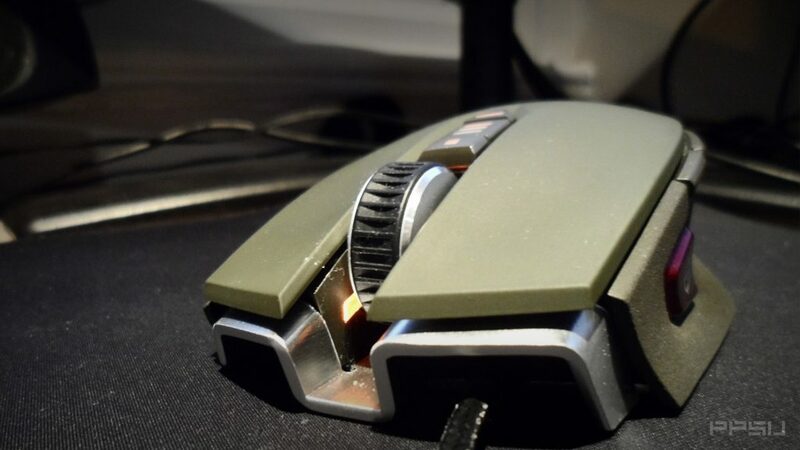 When laser based gaming mice started dominating the market over optical mice, I struggled to convert because of the inherent hardware acceleration that comes with laser based gaming mice. However, Corsairs M65 Vengeance Performance Gaming Mouse has converted me. Not only was the hardware acceleration barely noticeable once I got the mouse setup but it’s extremely comfortable to use. If you spend a lot of timing playing FPS games and love dynamic control over your DPI setting, then the Corsair Vengeance M65 Gaming Mouse is the one for you.